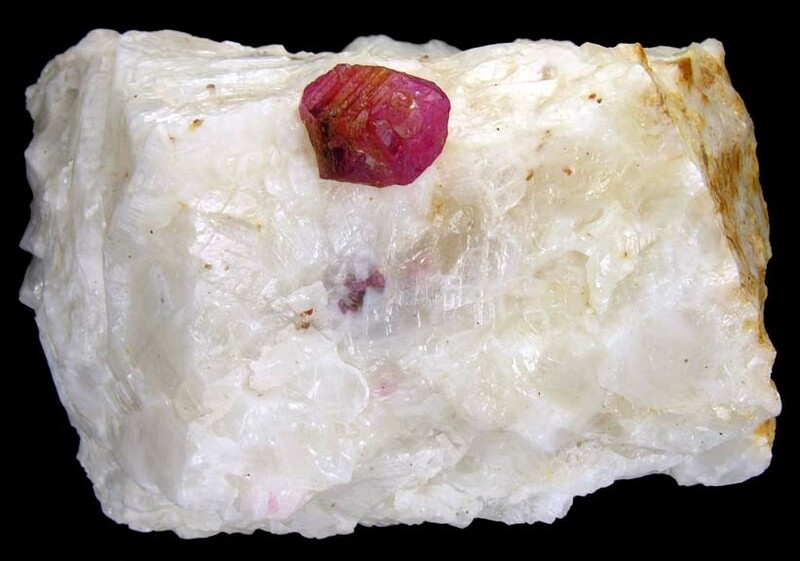 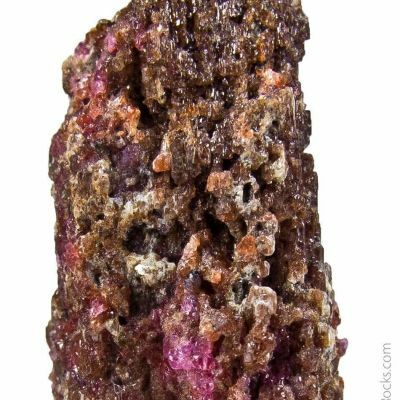 This specimen features a very good sized, rather sharp, somewhat lustrous, rich reddish-pink color hexagonal Ruby crystal on white Calcite matrix. 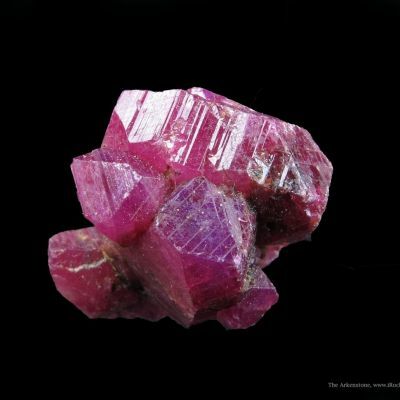 The color is very rich for a Ruby from this locality and it is not a light pink or even a rose pink color, it certainly has a distinct red hue. 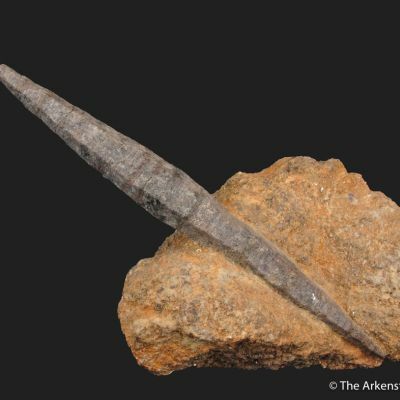 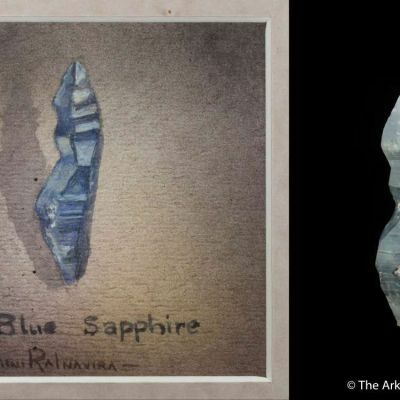 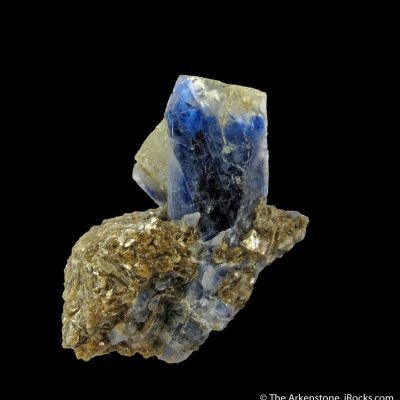 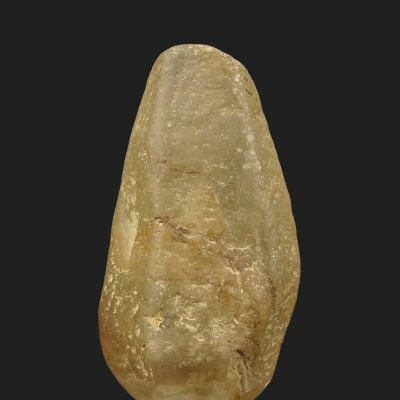 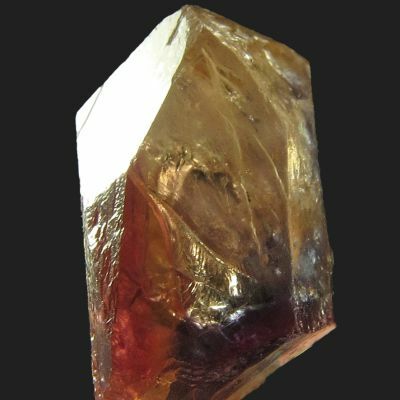 The crystal measures 1.7 cm long.